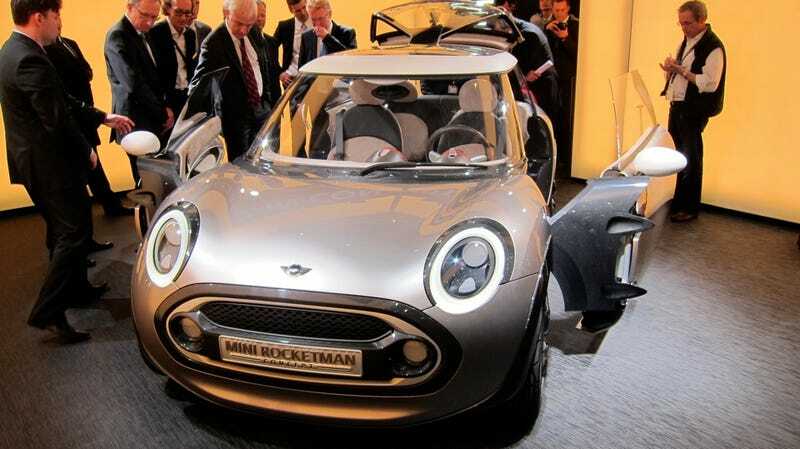 It's the Mini of the Future, if the future is smaller and lighter than the present, and only seats three. Actually, it's the mini of the past too, since it's only a few centimeters off of the 1959 original. The future part actually refers to the car's lightweight carbon-fiber spaceframe construction and extra-wide-opening doors by way of double-hinged joints. Indeed, the future will accommodate the tall and stout as well. A Mini that's actually mini? That sounds ludicrous.